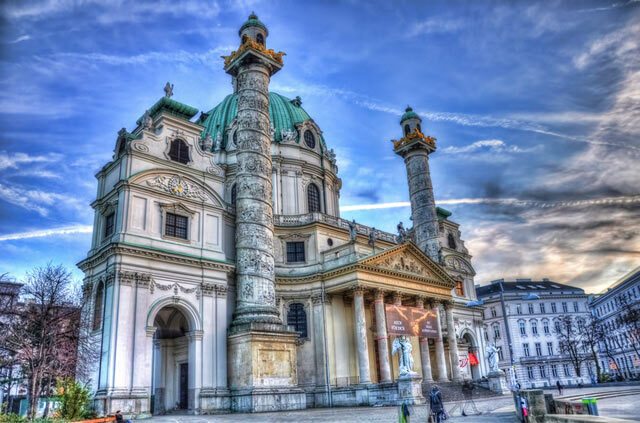 The Church of St. Charles is one of the most impressive buildings in Vienna. It is a vibrant center of historical performances of Mozart, Vivaldi and Ave Maria with the ORCHESTRA1756 on period instruments. Every week from Tuesday to Saturday we will play in the St. Charles Church with exceptional soloists, choir and orchestra. Visiting our concerts will not only be an remarkable experience for you - you will also directly support the important work of the ORCHESTRA 1756. St. Charles Church - located just a few hundred meters from the place where Mozart died - is one of the most impressing and significant buildings in Vienna. Every saturday between March and December 4th it presents itself as the ideal location to perform Mozart's last work - the REQUIEM. 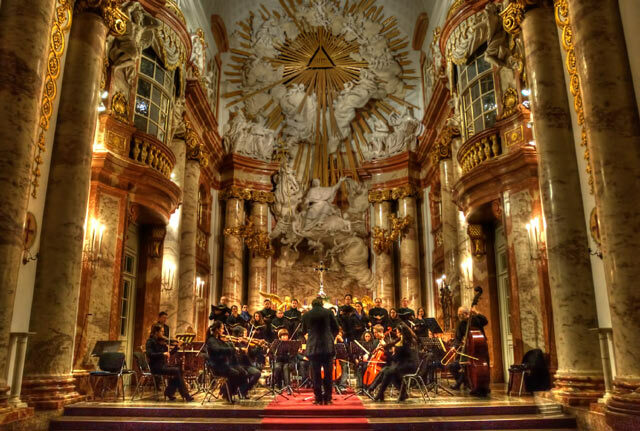 The concerts are performed by the Choir and the Soloists of the Salzburg Concert Society as well as the Orchestra 1756 (on period instruments). All together there are more than 40 musicians on stage. 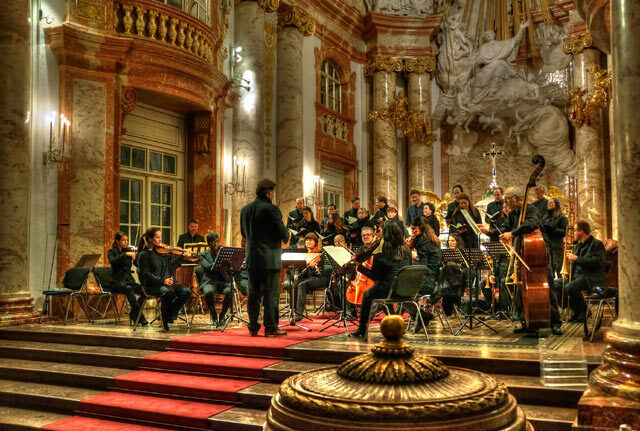 In Vienna you will not find another concert to experience Mozart and his surrounding mystique in a more authentic, more profound or more typical way. In 1713 - one year after the last great plague epidemic - Charles VI, Holy Roman Emperor, pledged to build a church for his namesake patron saint Charles Borromeo, who was revered as a healer for plague sufferers. An architectural competition was announced in which Johann Bernhard Fischer von Erlach prevailed over Ferdinando Galli-Bibiena and Johann Lukas von Hildebrandt (among others). The construction began in 1716. After J.B. Fischer's death in 1723 his son Joseph Emanuel Fischer von Erlach completed the construction in 1737 using partially altered plans. 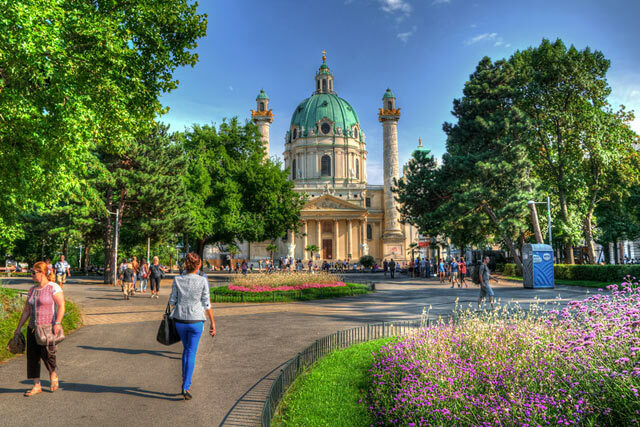 Originally the church had a direct line of sight to the Hofburg and was also - until 1918 - the imperial patron parish church. Aria "Amoroso ai rai del sole"
Aria "Ah che infelice sempre"
Aria "Gelido in ogni vena" aus der Oper "Farnace"